Osprey Video has formed a partnership with Belgium-based multilingual streaming company Streamovations. The partnership allows the two companies' customers to stream events in multiple languages through a single turnkey system based on Streamovations' software that's certified to work with Osprey Video's hardware. "Many organizations need to share live video on the web in multiple languages simultaneously, but there's no out-of-the-box system that lets them do it. 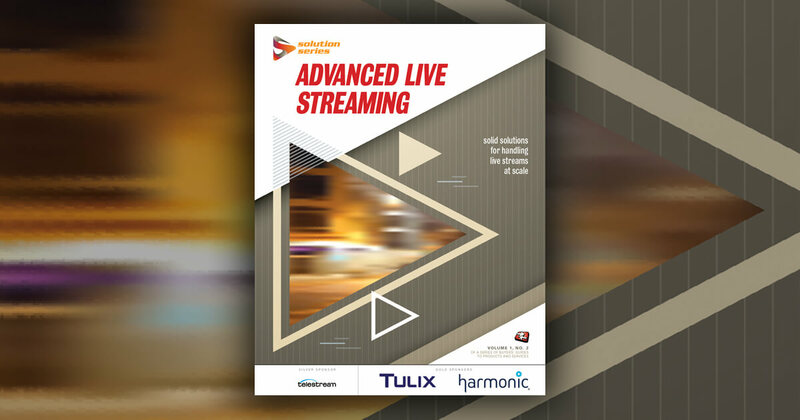 We were keen to develop such a system so that any organization -- especially one without in-depth technical knowledge -- can accomplish its streaming goals, whether working with multiple languages or just one," said John Vanhoucke, CEO of Streamovations. "We have always recommended Osprey cards because we've found they work better than any other card. We've also got a good working relationship with Osprey that has made it easy to collaborate on features and customize solutions for our clients. Those qualities made Osprey the perfect partner for this endeavor." The joint Streamovations-Osprey Video solution lets customers capture, encode, transcode, manage, analyze, and store all content. The solution's defining characteristic is its ability to stream up to 32 audio feeds with one system, which is what makes it possible to stream events in multiple languages. Osprey's powerful cards capture multiple audio feeds along with the video signal and all interpretation signals. The Streamovations platform then encodes those feeds to H.264 video and AAC audio and ensures the video is properly mixed with the different audio tracks for each language. From there Streamovations delivers live online or video-on-demand content to multiple audiences around the world. The joint solution is designed for customers looking to stream multilingual events, but it will work just as well for customers with single-language applications, such as city councils that must stream meetings to their local constituents. Though it has been proved primarily in government settings, the solution can be applied broadly to any video-streaming operation. Streamovations currently uses Osprey's single- and dual-channel HD-SDI capture cards and will continue to roll out more options as new Osprey cards and features become available. Customers can purchase the joint solution from either Streamovations or Osprey Video with whichever Osprey capture card best fits their needs. "Given its breadth of experience helping large institutions with high-volume streaming needs deliver content in sometimes 50 languages or more at the same time, Streamovations has the expertise to simplify streaming for anyone in any industry, even if you only need to stream in one language," said Scott Whitcomb, Osprey Video's business development manager. "We've collaborated with Streamovations for years, so it's gratifying to be launching a formal solution together that fills a big need in the industry. Customers who might have been worried about the cost or intimidated by the setup can now turn to us for an end-to-end, single-vendor streaming system that's already integrated and guaranteed to work." Streamovations is based in Belgium, situated close to the European Union multilingual institutions. The company offers a complete end-to-end software solution for managing multilingual streaming, from encoding to delivery on any device. More information is available at www.streamovations.be. Osprey Video's premium video-capture technology has long driven mission-critical video delivery in industries ranging from broadcast, internet TV, and surveillance to enterprise, government, and aerospace. Now the technology in its flagship capture cards and drivers is the foundation for its end-to-end line of live-streaming and encoding products, which allow customers to satisfy increasingly higher expectations for online video in all environments, including more traditional A/V environments such as education, corporate communications, and houses of worship. The company is continually expanding its product portfolio to meet customer demand for high-quality, reliable tools in ever-evolving video applications -- from video over IP to closed captioning, mobile streaming to 4K capture and distribution... and beyond. More information is available at www.ospreyvideo.com.